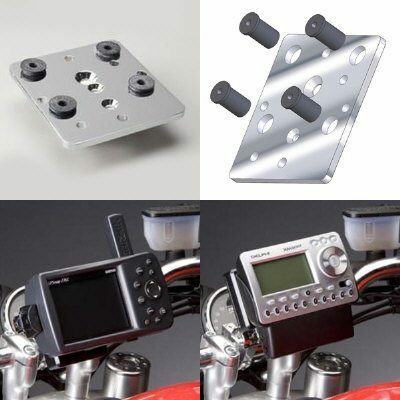 GPS MOUNT Accessory Top Plate for mounting a device with the four bolt AMPS bolt pattern used by many GPS and SAT radio manufacturers. Uses rubber expansion nuts to hold device secure and to isolate vibration. Works with Delphi XM Roady, XM Roady II, SkyFi, SkyFi 2, Garmin GPS Cradles, and R.A.M. GPS cradles. Not for mounting any Magellan GPS with nuts built into the back of the unit. (GPS/Radio Not Included). Works with any Ztechnik mount.